Sweet mangos and tart cranberries added to mixed greens and dressed with a balsamic vinaigrette. 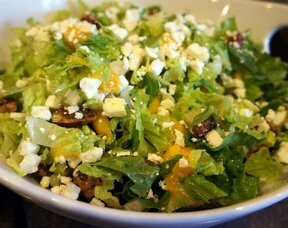 This salad is refreshing to serve and to eat. Makes enough to feed a crowd. Spread pecans out in a single layer on a large baking sheet. Toast the pecans in the preheated oven, approximately 10 to 15 minutes, tossing once. Allow to cool. 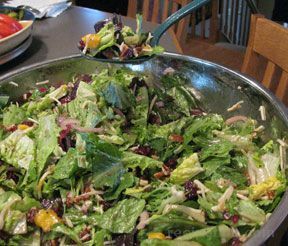 In a large bowl, combine mixed greens, mango, craisins, red onion, swiss cheese and pecans. 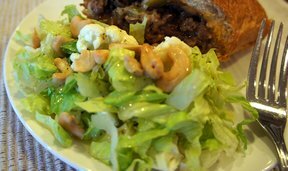 Top with balsamic vinaigrette and toss to combine.